Cloud computing trends are pushing consumer tech companies like Amazon and Google to market enterprise analytics software. This podcast examines those trends. As businesses look to decrease the overhead of managing complex big data and machine learning tools, software vendors who specialize in this kind of infrastructure are seizing on the opportunity. A recent report on SearchBusinessAnalytics charted Google's push into enterprise business analytics. In this edition of the Talking Data podcast, we look at some of the underlying trends drawing traditionally consumer-focused companies like Google and Amazon into the realm of enterprise analytics. The discussion also examines what could stand in their way and how these companies plan to use their in-house analytics muscle to push through these barriers. Cloud computing is certainly nothing new, but it's gaining new traction for big data. Analyst firm IDC projects cloud big data implementations will outpace on-premises projects by a factor of 4.5 over the next three years. Demand for managed platforms is growing in big data and analytics, and that's where consumer tech companies like Google and Amazon are stepping in. Both companies have long track records of managing big data infrastructure and developing machine learning tools for their own lines of business and, in Amazon's case, opening up that infrastructure to business customers. But now they're betting that turning these tools, especially their machine learning and AI software, over to enterprises will help them win customers away from more established enterprise business analytics vendors. 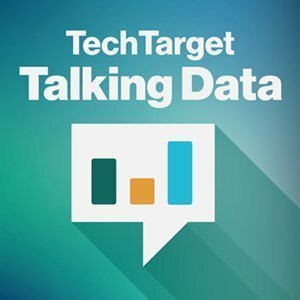 Listen to the podcast to hear more about the role consumer software companies are playing in the ever-escalating big data and machine learning platform wars. How attractive would it be for your company to move its enterprise business analytics to a consumer tech company's cloud?